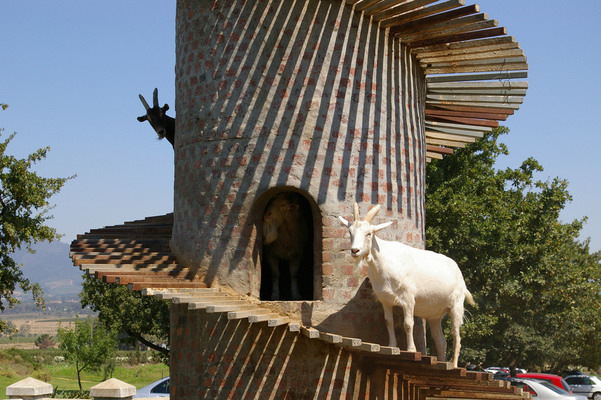 Goats like to climb things, and the owners of Fairview Wine and Cheese Farm in South Paarl, New Zealand, wanted to make the goats they kept happy, so the solution was simple: build a goat tower. Sounds crazy, but it works. The more than 1,000 goats of Fairview blissfully trot up and down the spiral staircase every day, then produce milk that makes award-winning Camembert. So the moral of the story is: If you build a goat tower, they will climb it. And make you delicious artisanal cheeses.